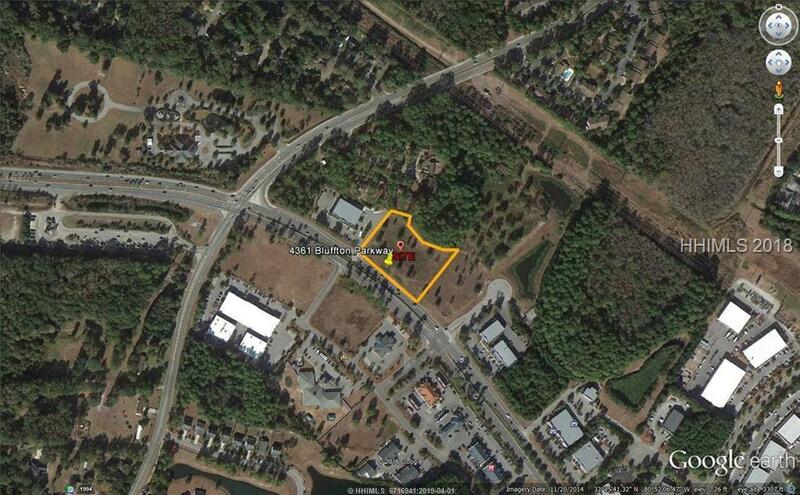 Prime 1.96-acre parcel on Bluffton Parkway. Ready for development, the property has considerable frontage and exceptional visibility. The parcel is nearly square in shape, mostly flat, 1' above street level and all utilities are available. Access to the site from the Parkway is via shared curb cut with the adjacent retailer. Currently zoned PUD Commercial, this would be an ideal opportunity for any retail, restaurant, bank or professional office use.